during nest building. The birds secrete saliva and use it as cementing material to bind feathers and vegetation together, and shape them into nests with attachment to the walls of inland or seaside caves. Often nest weighs 1-2 times the swiftlet’s body weight. It only supports the mother and the nestlings. The nest construction is completed in 35 days. Traditionally, EBN is classified both before and after processing. The commonly used classification of EBN is based on the nest’ external morphological features such as size, shape, feathering, appearance and color. However, traditional classiﬁcation of EBN did not include the species of EBN-producing swiftlet thus making the classiﬁcation of EBN inadequate and confusing. Additionally, further classiﬁcation is based on the location of collection and the country of origin. 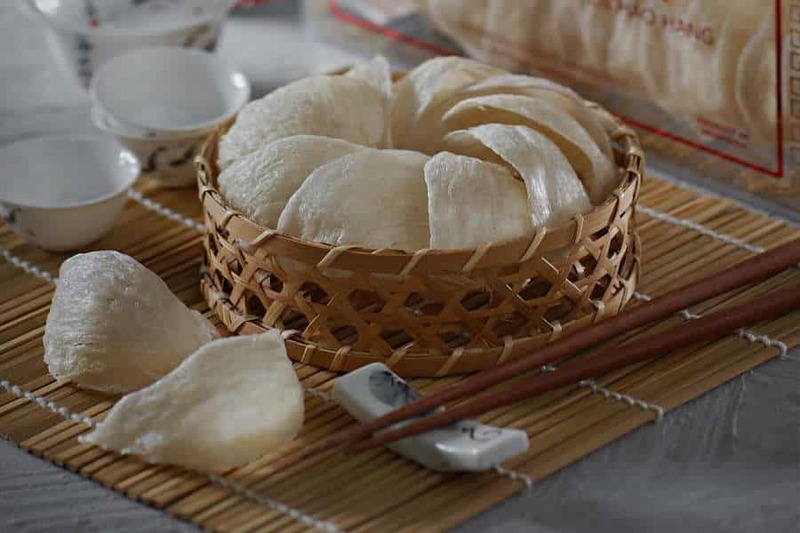 On the basis of shape, edible bird’s nest (EBN) has been categorized into several types such as nest cup, nest cake and cracked pieces nest. Consideration of the size of nests gives rise to one more class of EBN, ﬁngers grade (unprocessed nest). In terms of the aspects of feathering, EBN has been categorized into premium grade nest, second class grade nest and third class grade nest. 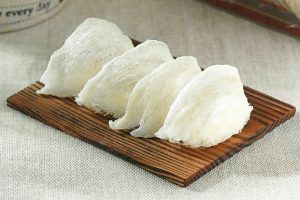 On the basis of physical appearance, EBN has been classiﬁed into grass nest, feather nest, edible bird’s nest. On the basis of colour, EBN has been classiﬁed into white nest, blood nest and Hua Yan. On the basis of location, EBN has been classiﬁed as Gomantong nest, cave nest, house nest and Sarawak nest. On the basis of country of origin, there are several classes – Malaysia, Thailand and Indonesia nests. Moreover, EBN can also be divided into cave nest and house nest. Cave nests are mainly harvested from natural caves, whereas house nests are made by swiftlets in the attic of countryside houses. Cave nests are harvested by local people via a complex system of management and ownership. The nest harvesting process is often painful and risky. The use of nest harvesting techniques depends on several factor such as the cave site, cave height above the ground or water bed, and some other related factors. For the collection of nests in some caves in Kakus, Malaysia, 3 ﬁshing net is placed across the stream in the cave to catch any fallen nest. For the collection of nests built high on cave walls, temporary frames made from locally collected bamboo or ironwood are used. In low lying caves in Baram, Malaysia, nests are usually collected by hands. The nest collection seasons in Niah and Sarawak, Malaysia, last for 30 to 60 days, while it lasts only two weeks in Baram, Malaysia. Collection of house nests is a relatively easy task but care needs to be taken of the birds’ comfort, and also skilled and knowledgeable workers are generally involved. Viking cave where bird’s nests are collected. Phi-Phi Leh island in Krabi, Thailand. Proximate and mineral analysis are some of the predominant methods of analysis for nutritional testing of foods. Proximate analysis represents the crude proteins, fats and ﬁbres, moisture, ash and carbohydrate contents. Many of the food analysis methods in use today are procedures based on a system initially introduced almost 100 years ago. Proximate and mineral analysis is used for the analysis of animal feedstuffs. It involves the estimation of main components of a food using procedures that allow a reasonably rapid and acceptable measurement of various food ingredients without the need for sophisticated equipment or chemicals. Usually the analysed components are crude proteins, fats and ﬁbres, moisture, ash and carbohydrates. The physical analysis involves the determination of the contents of moisture, ﬁbres and ash, and the protein proﬁle of EBN. The vast majority of methods for the determination of moisture are based on oven drying techniques. Even though these procedures are widely varied, they do not accurately measure water content, and instead measure the volatile matter. The moisture content in EBN was 7.50 % as reported by Marcone. However, publicly available bird’s nest moisture content usually varies from 10-50%. It has been observed that some unethical EBN sellers prefer to sell nests with higher moisture content in order to earn more proﬁts. However, EBN with high moisture content will be subjected to the growth of bacteria and fungi, which causes damage and browning of nests. With moisture content controlled below 15%, the EBN shelf-life can be prolonged for a longer time even without refrigeration. It is noteworthy to state that it is impossible to maintain EBN at 0% moisture content in cup shape as it will be fragile to hold its shape. Fibres are polysaccharides and lignin, which are resistant to hydrolysis by enzymes in the human alimentary canal. As per this deﬁnition, the dietary ﬁbre includes non—starch polysaccharides, resistant starch and lignin. It is important to note that no ﬁbre content was found in EBN by Marcone, Saengkrajang et al. and Sarawak Museum Department. Generally, the percentage of ash in food and food products is determined by weight loss after ignition at 525-550 °C. Some types of food matrices call for slightly higher temperatures and numerous sample preparation techniques are recommended for certain types of food products. Processed nests were found to have around 2.5-3.0 % of ash by the Sarawak Museum Department. The reports by Marcone indicated that EBN ash content was around 2.10%. 5.9-7.4% ash content was reported by Saengkrajang et al in several EBN samples from Thailand. Hamzah and co-workers reported 5.58-13.88% ash content in the EBN samples collected from Malaysia, Indonesia, Thailand and Philippines. According to Goh et al, the molecular weight of EBN proteins is in the range of 14- 97 kDa. This means the size of EBN proteins is relatively small and the separation has to be carried out in a small pore medium. Basically, the pores of agarose gel are relatively large compared to polyacrylamide gels. In addition, many problems have been encountered with the use of agarose for gel electrophoresis. Agarose contains charged groups, principally sulphate and carboxylic acid groups. These groups interact with charged groups on the ionized macromolecules, especially proteins, and hinder their electrophoretic migration. Furthermore, the presence of anionic groups on the support medium leads to an electro- osmotic effect, which alters the electrophoretic mobility of migrating sample molecules. So agarose gel is less suitable for the protein proﬁling of EBN. Some of the reports by Goh et al demonstrated the use of SDS polyacrylamide electrophoresis to identify lgE in EBN, which induces anaphylaxis. The authors also immunochemically characterized the EBN allergen. The protein profiles of commercially available and fresh EBN samples from Sarawak were different. The fresh unprocessed EBNs had more and distinct protein bands. These ﬁndings were an indication of the fact that commercial processing may have reduced the amount of intact protein originally present in the fresh nests. 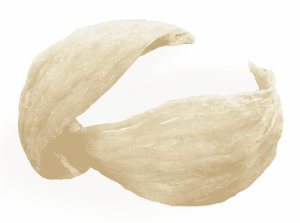 The physical analysis of edible bird’s nest involves the determination of the contents of proteins, fats, carbohydrates, minerals and amino acids. Different protein contents of EBN have been reported. Du et al. characterized the major allergens in EBN using the combined technologies of 2-DE, immunochemistry, N-terminal protein sequencing and MS. The immuno—staining of the Western blots of the EBN 2-DE separated proteins with the sera from allergic patients indicated the presence of a major allergen of 66 kDa. Initial searches of the MALDl—TOF-MS tryptic peptide masses of the allergen in the SWISS— PROT and NCBl non—redundant databases revealed that EBN protein was novel. The average crude protein content in EBN has been reported by Su et al. as 53.26 %, Marcone as 62- 63%, Kathan and Weeks as 32.3 %, Saengkrajang et al. as 61.0-66.9%, Hamzah et al. as 59.8-65.4/00, Norhayati et al. as 57.9-65.2/00 and more than 75-85.6% by Sarawak Museum Department. Several studies have been carried out in order to deﬁne the precise roles of oligosaccharide chains in the functionality of glycoprotein. Several glycoprotein functions have been identiﬁed but many are still under investigation. As EBN consists of mucin types of glycoproteins, it can serve as lubricant and protective agent. Fats are considered a subclass of lipids. The US FDA food labelling regulations deﬁne fats as the sum of fatty acids expressed as triglyceride equivalents for nutrition labelling purposes. Saturated fats are fatty acids without double bonds. EBN has very little fat content. 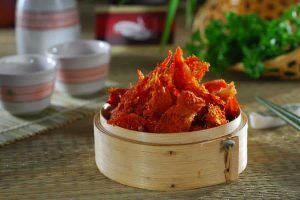 The average fat content value reported by Marcone was 0.14%, while Sarawak Museum Department proclaimed the fat content was between 02-03% by dry weight. Recently, the studies by Saengkrajang et al. on the EBN samples collected from different regions in Thailand indicated that fats formed 04-13% of the total composition. The fatty acid analysis by Marcone indicated that the EBN fat consisted of palmitic (316:0, stearic C18:0, linoleic C18:1 and linoleic C182 acids. The ratio between different fatty acids was dependent on the types of EBN. Carbohydrates are a very important class of compounds that are known to form essential food as well as structural components of living species. Carbohydrates are commonly classified into monosaccharides, oligosaccharides and polysaccharides. Phenol-sulphuric acid reaction for carbohydrate analysis of both white and red EBN was carried out by Marcone. The tests indicated that carbohydrates were the second highest occurring components (27.26%) in the entire nest with some differences. Additionally, it was reported that white EBN had slightly more total carbohydrate content than the red EBN. According to Kathan and Weeks, the carbohydrate component in EBN consists of 9% sialic acid, 7.2% galactosamine, 5.3% glucosamine, 16.9% galactose and 0.7% fructose. The sialic acid is believed to be N-acety1-4-O-acetylneuraminic acid. A new, sialic-acid-derived compound was isolated from the acid hydrolysate of EBN by IEC Combined use of MS, 1H and 13C NMR spectroscopy established that it is the 4,8—anhydr0 derivative of N-acetylneuraminic acid, and in solutions it exists in two tautomeric forms. A GC detection method was developed to identify the composition of the oligosaccharide chain within the glycoprotein in EBN. This composition includes D—mannitose, D-galactose, N- acetyl-D-galactosamine, N—acetyl-D-glucosamine and N-acetyl neuraminate, which constituted the oligosaccharide chain. The peak-area ratios in GC spectrum for the ﬁve monoses were found to be ﬁxed; therefore, the GC technique developed in this work was conveniently used to determine the various raw EBNs and their products both qualitatively and quantitatively. This method serves as a marker to distinguish between the fake and the genuine EBN rapidly. For the studies of metal and mineral content in EBN, several characteristics unique to toxicants and nutrients need consideration. Therefore, a distinction must be made between necessary minimal intake and toxic overexposure in the EBN. There has been no evidence of any metal found in the EBN; studied for metal content. The presence of heavy metals in foods may be either due to agricultural processing or from contamination in the food chain. Several metals have important biological roles within the human body and thus, are considered essential for good health. Such metals are frequently known as minerals. Fourteen minerals have been proved as essential to human health. These essential minerals include calcium, chromium, copper, ﬂuorine, iodine, iron, magnesium, manganese, molybdenum, phosphorus, potassium, selenium, sodium and zinc. Nevertheless, at threshold concentrations, a number of these essential metals become potentially toxic. Minerals are considered as micronutrients as they are needed in relatively small amounts and belong to two groups, the macro or bulk minerals; and the micro or trace minerals. Minerals are inorganic elements, and therefore, are not produced by plants and animals. Some of the minerals work as coenzymes, enabling chemical reactions to occur throughout the body. Processed EBN contains reasonable amounts of calcium, iron, and riboﬂavin. Marcone also detected sodium (650 ppm), potassium (110 ppm), calcium (1298 ppm), magnesium (330 ppm), phosphorous (40 ppm) and iron (30 ppm) in EBN. White EBN was found to be richer in calcium than red EBN. All the red EBNs tested were found to have typically higher levels of iron. Some researchers believe that minerals found in EBN are leached from the cave substrate where the nests are built. The presence of natural minerals in cave nests and absence in farmed house nets enables the former to withstand longer hours of cooking, whereas the later disintegrates rapidly when cooked. However, there is little published research on the minerals levels in EBN. Acids Amino acid analysis of EBN involves the identiﬁcation and quantiﬁcation of amino acids contained in a particular sample type. Since EBN is consumed as supplementary food, therefore, it is very important to study the protein quality of EBN, which is determined by the amino acid composition. Su et al. developed a capillary electrophoretic method for the determination of amino acid proﬁle of EBN. Eighteen types of amino acids were analyzed with identiﬁcation of seventeen types including aspartic acid, threonine, serine, glutamic acid, glycine, alanine, valine, isoleucine, leucine, tyrosine, phenylalanine, lysine, proline, histidine, arginine, tryptophan and cysteine. Aspartic acid, histidine, proline, serine and glycine were found to be in relatively higher amounts than the other amino acids. It was concluded by the authors that EBN does not contain hydroxyproline and methionine. Besides, the authors did not carry out the composition identiﬁcation of glutamine and asparagine. Kathan and Weeks reached a similar conclusion stating that EBN is rich in amino acids. 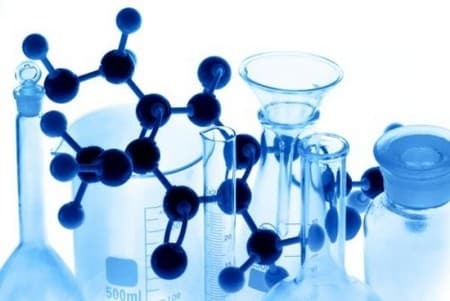 Seventeen types of amino acids were identiﬁed in EBN, namely, aspartic acid, threonine, serine, glutamic acid, proline, glycine, alanine, valine, methionine, isoleucine, leucine, tyrosine, phenylalanine, lysine, histidine, arginine and cysteine. Besides, serine, proline, glutamic acid, threonine and aspartic acid were found in relatively higher amounts. However, the identiﬁcations of tryptophan, glutamine and asparagine were not carried out. Newman after some studies on the amino acid composition of EBN documented that EBN is deﬁcient in three essential amino acids, namely lysine, methionine and tryptophan. However, Newman’s claims were proved incorrect later on. Marcone identiﬁed and quantitated seventeen types of amino acids including aspartic acid, asparagine, threonine, serine, glutamic acid, glutamine. glycine, alanine, valine, methionine, isoleucine, leucine, tyrosine, phenylalanine, lysine, histidine and arginine in EBN. The contents of serine, valine, isoleucine and tyrosine were found to be fairly higher compared to others. However, in his work, the analysis of proline, tryptophan and cysteine was not carried out. Furthermore, amino acid analysis revealed that white EBN protein was substantially rich in two specific aromatic amino acids which are phenylalanine and tyrosine. Due to the fact that cave nests are made by free and naturally-living swiftlets, some people considered them to be more valuable than house nests, and, hence, fetch a higher price. 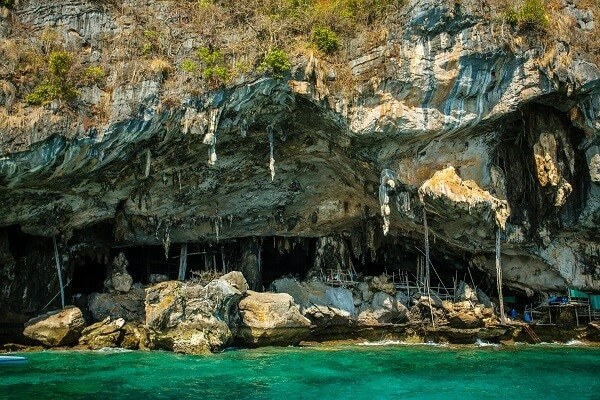 However, in reality, cave nests generally contain more foreign materials and feathers than house nests. Cave nest are exposed to the risk contamination by heavy metals from the external environment. The texture of house nests is usually smoother as compared to that of cave nests. Besides, the house nests have less feathers and other contaminants in comparison to the cave nests. There are various types of EBN products in the market. The current quality of EBN is not veriﬁable and its quality claims are totally dependent on the personal validation and rationale made by the manufacturers. Generally, EBN with feathers incorporated in the nest—cup is given lower grades. Good quality nests are distinguished by a comparatively large proportion of nest-cement with few feathers in the nest—cup. After personal observation of EBN trade practices in Malaysia, the colour of EBN is frequently used to grade EBN. Red coloured EBN, also known as red nest or red blood nest is thought to be of higher quality and thus, sells at a higher price. Unfortunately, due to this reason, the white EBNs have been treated with red pigments which are either partially or wholly water-soluble so as to give the false appearance of the red blood nest and hence command a higher price from consumers. The ancient Chinese communities were traditionally of the belief that the red coloured EBNs were enriched by the blood of swiﬂets. It is due to this reason such nests are called “Blood Nests” and were considered to be more nutritious. However, it is also possible the area where the nest was built absorbed iron from its environment. Marcone was of the conception that the red tarracota colour of the blood nest is very similar to the colour of the puriﬁed ovotrasferrin in its iron complexed state whereas the white coloured nest is similar in colour to ovotransferrin in its iron non-complexed form. Further, X-ray microanalysis reports revealed that the blood nests contained relatively higher levels of iron compared to the white EBNs. Thus, it is likely that the red coloured EBNs are produced via the oxidization of iron in EBNs. Mende suggested that the colour of the EBNs may be due to the nest positions. Besides the above mentioned reasons, it is thought that the colour of nests is affected by the food consumed by swiftlets, which makes the saliva become red naturally. Nonetheless, at this moment, the true reason and factors affecting the colour of the nests are still a mystery. The quality of the nest has to be monitored from the moment the nests are cultured, sorted, processed and packaged. Judgment regarding the quality of nets merely through the appearance and location of the ﬁnal nest product will surely be misleading for consumers. In order to produce better quality nests, the nest building or cave environment has to be very clean. Clean environment is very important due to EBN’s strong absorption capacities. The nests are often contaminated by lizards, cockroaches, Chick’s corpse, bird’s stool and heavy metals, man-made contamination such as pesticides, sodium alginate, starch re-shaping, paints and colours, dust, etc. and therefore, a lot of care needs to be taken. 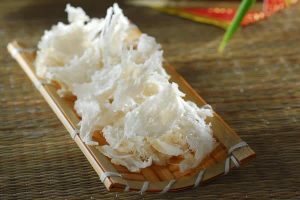 Recently, there have been many reports of fake or adulterated EBN made by adding several materials including fish skin, mushroom, algae, karaya gum, red sea weed, Tremella fungus, pork skin, natural plant gum, jelly fungus and egg white. These materials are routinely incorporated during commercial processing prior to ﬁnal sale. Generally, the weight of the nests is increased from 10-30 % to earn extra profits. This is a strong offense as it leads to several toxicities in EBN consumers. The presence of nitrites in Malaysian EBN is another issue of concern regarding the safe consumption of nests. The export of EBNs from Malaysia was banned by China on account of the detection of high levels of nitrates in the exported EBNs. It is being estimated that the nitrite and nitrate contaminations in EBNs were contributed by the fermentation process of bird soil and guano. Besides, the contribution of natural environmental resources such as atmosphere, water, and soil was also thought responsible for the contamination of nests. Nitrites are very harmful to human beings as they react with secondary amines and amides in the alimentary canal to form carcinogenic N-nitrosamines. Hence, it is a great concern to authenticate the purity of EBN and regulate the law to inspect EBN sold in the market to combat adultération. I have to be honest in saying that I didn’t know that birds nests were still eaten in this day and age. The fact that it is still being consumed does not surprise me in the way that there are people out there trying to fob others into buying fake BNs, so typical these days. Helen, thanks for stopping by. 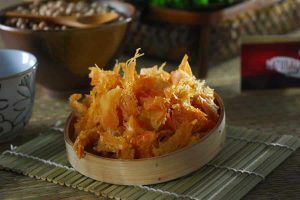 Indeed birds nests are still consumed these days because of the nutritions. 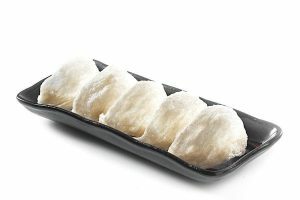 In fact, more and more people are consuming birds nest these days especially in Asian countries. There are many fake birds nest out there, hence consumers must be very careful when buying the birds nests. Only buy birds nest from the reputable sellers. recently I bought 50 g of bird nest from a shop called SEA HARBOUR at the Glen shopping centre in Victoria for $233 after 15% discount as the sale person said. He assured me that they are genuine. However after cooking in double pots , there was nothing there just liquid. I went back to the shop n told the sale person of selling fake Bird nest. He told me that the bird nest he sold to me was genuine . How do I know if they are genuine ? Is there an authority where I can make a complaint ? I know I have been cheated. Thanks for your advice. Hi Joanne, so sorry that you had a bad experience with your bird nest purchase with a different supplier. we are not sure if the bird nest you purchase was genuine or fake. In terms of filing a complain, we suggest you to speak to the shop owner again to resolve the issue. We wish you all the best for your future purchase, we would like to invite you to try to purchase our product and compare the quality. Thanks.